One of my projects for this quarter was to do a bunch of zipper bags and glasses cases. I once had a big stock of them, but over time my stockpile ran dry. I love to make these – they are a great way to play with cute fabric, I use the cases for lots of things, and I love to give them away. My mom also put in a request for a few sets to give for Christmas, so I wanted to get her a selection to choose from. This is a selection of all the cases I made in this sitting. 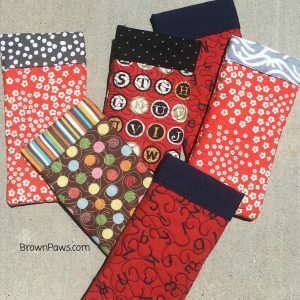 I made several duplicates of similar fabrics. 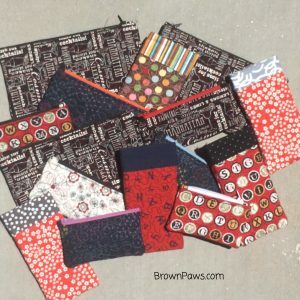 The zipper cases are easy to make and are a good opportunity to practice machine quilting. 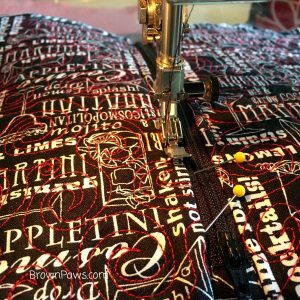 In fact I got going on this batch because I wanted to do some machine quilting practice before starting in on a big quilting job. 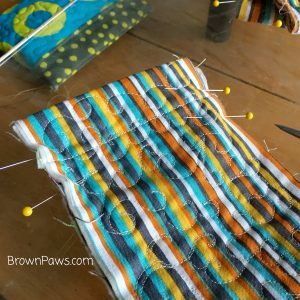 I decided to use these guys as practice rather than make muslin scrap quilt sandwiches. 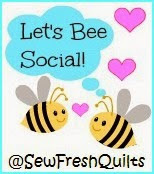 I’ll do another post later on my work to improve my machine quilting! 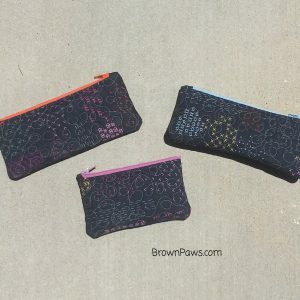 Here are a few more photos of the zipper cases coming together. 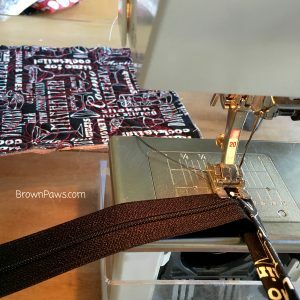 Prepping the zipper – I learned my method from Terry Atkinson’s books and patterns. Now I use this method and adapt it any size case I want to make. Top stitching detail next to the zipper – I love the cocktail fabric! 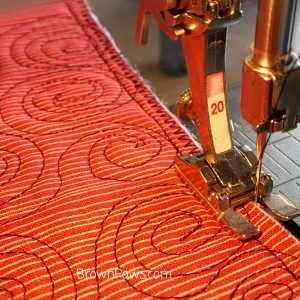 Adding zig-zag stitching to the edges to prevent fraying. 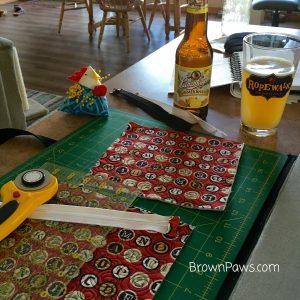 It was hot, I was doing a lot of zippers, and sometimes a Summer Shandy is just in order! I made these small card cases for the first time. This was the first one. 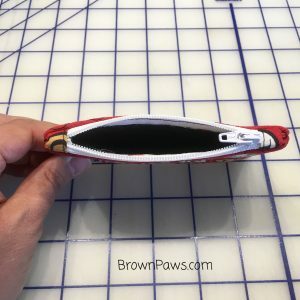 It came out well, but the zipper method I use adds fabric to the ends of the zipper which made the opening a bit small. With my next one, I left the fabric off one edge (the right) and thinned the fabric on the edge where the zipper stops (the left). This made a wider opening and I like it better, but the side with no fabric on the edge of the zipper is going to fray. For my next one I’m going to try the thinner fabric on both sides. 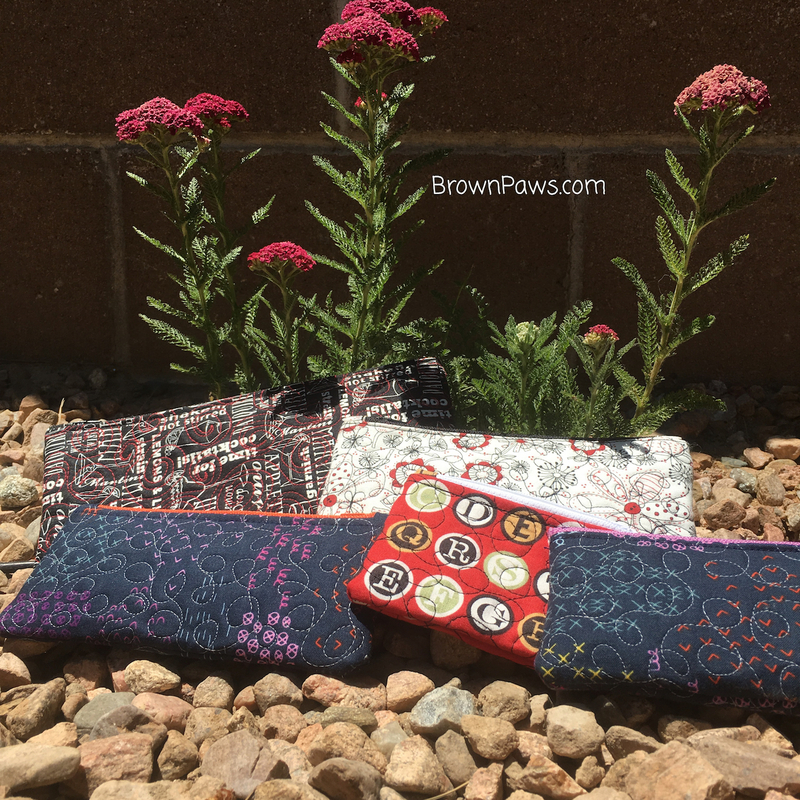 The cocktail cases in 2 sizes – big (~9″ wide x 5″ tall) – and a pencil case size (~7″ wide x 3.5″ tall). This fabric was cute and had lots of colors. 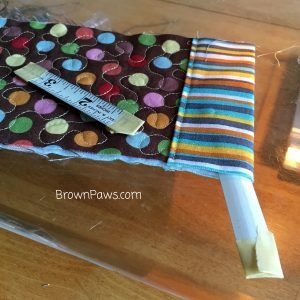 I used brightly colored zippers and yellow stripes for the linings. 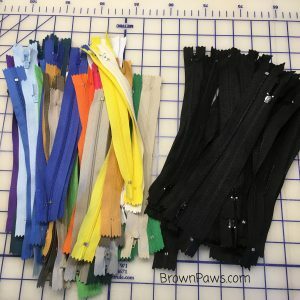 And I just got a bunch of new zippers off Amazon for a great price, so I’ll be making more! I also made a bunch of glasses cases at the same time. These are really cool because they have a snap-back closure at the top. 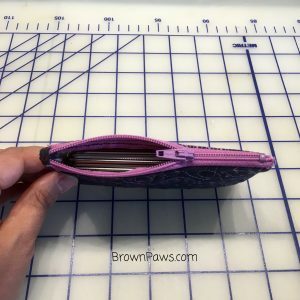 I bought a pattern from Stitchin’ Sisters some time ago showing the method, and I adapted it to make cases big enough for sunglasses. 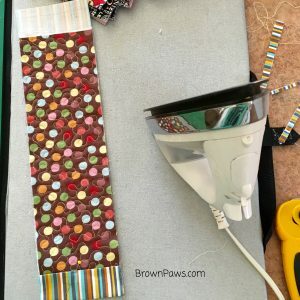 I’ve also seen tutorials for bags using a similar idea in several places online, calling them snap bags. Old measuring tapes are used in the enclosure and they snap closed – so cool! Hemming down the lining over the outside fabric to make a casing. Inserting the cut measuring tape into the edge casings. Sewing up the sides, making sure the edges and hems match…then zig-zag the edges. A selection of completed cases. I’ve adopted the one on the far left. I had a great time making my cases, and still have a few more in progress. The are very useful to have around! These cases were on my Q2 FAL list (link to original Q2 FAL goal list), so I will be linking up there once the end of the quarter link opens. Brilliant! What a good idea to have a stock pile for easy gifting. Thanks! 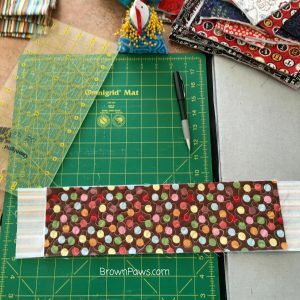 They are really fun to make and good pieces to use for quilting practice. Such a wonderful idea to make a bunch of these to have on hand as gifts. 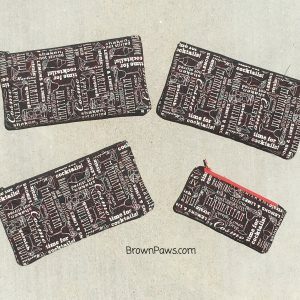 I did a zippered pouch recently as part of the Brave Quilter challenge. I have a fear of zippers because they never turn out as nice as the photos. I’m not scared of them any more, but they still don’t turn out as pretty as yours! Guess I just need to practice more. Thank you! Thanks so much to the hosts for all the work you do!